Space suits, meteorite fragments and a giant sculpture of the moon are to be displayed in one of the Church of England’s ancient cathedrals as part of celebrations to mark the 50th anniversary of the Apollo 11 moon landing. The festival at the cathedral will include science-themed worship as well as lectures from high-profile figures including the Astronomer Royal Lord Rees and lunar expert and broadcaster Dr Maggie Aderin-Pocock. There are also exhibits on show loaned from the Science Museum and the Institute of Astronomy in Cambridge. Ely Cathedral joins Lichfield Cathedral in mounting a spectacular display to mark the anniversary of the lunar landing, with Lichfield’s nave floor due to be transformed into a huge visual reproduction of the Moon’s surface. A sculpture dedicated to victims of knife crime has been temporarily installed at Coventry Cathedral for this month (April). Messages from families of the victims of knife crime have been engraved on the sculpture's wings. The Bishop of Coventry, Rt Rev Dr Christopher Cocksworth, said the Knife Angel was "a stark reminder of a form of violent crime infecting our city and threatening lives with great danger, especially our young people." Artist Alfie Bradley, who created it at the British Ironworks Centre in Oswestry, said it was "a memorial to those whose lives have been affected by knife crime". The Knife Angel was unveiled in 2017 and has been displayed in Liverpool and Hull. The sculpture will be displayed in Coventry until 23 April. The Church of England’s lead Bishop for Education has backed calls for a comprehensive Rural Strategy, following the publication of a new study. The report, recently published by the Rural Services Network, calls for action by the Government, citing concerns that the UK’s exit from the EU could serve to compound existing rural challenges. The Bishop of Ely, Stephen Conway, who has previously called for a rural strategy, said: “We welcome the Rural Services Network’s report, and echo its call for a cross-Government rural strategy. “The Church of England is at the heart of rural communities with around two thirds of our 16,000 churches in rural areas, and half of our 4,700 schools found in the countryside. Where the post office, the pub and shop have disappeared, these are often the only community focus left, and are crucial to the identity and wellbeing of villages and rural areas. Events have been taking place this Spring to mark a quarter of a century of women’s ordination to the priesthood in the Church of England. The first group of women were ordained priests on Saturday 12 March 1994, in Bristol Cathedral. Following a recent celebration at Lambeth Palace attended by the Archbishop of Canterbury, services have been held at cathedrals and churches throughout the country. Meanwhile the number of women entering training for ministry continues to grow. Women now make up nearly a third of the 20,000-active clergy in the Church of England according to the latest figures which also show a 38% increase in the number of women starting training for ordained ministry in the past two years. 2019 also marks 50 years since women were first licensed as Lay Readers, and five years since legislation was passed to enable women to be appointed bishops. The Archbishop of York and the lead Bishop for the environment have welcomed a 'plastic free' version of The Real Easter Egg. Out of the 80 million eggs sold in the UK every year The Real Easter Egg is the only one which includes a 24 page copy of the Easter story in the box, is Fairtrade and supports charitable causes. And now, this year the Real Easter Egg is going plastic-free. The change is in response to a survey which found that 96% of Christians think it is important for Easter Eggs to be plastic-free and news that 11.5 million tonnes of food packaging waste is produced every year. "While I welcome the proposals, these new standards are, in fact, another lost opportunity in the fight against problem gambling. “With little consequences for companies flouting the rules and few teeth to enforce these new directives, the Committee of Advertising Practice needs to step-up their approach. "With so many of the proposals relying on betting firms to self-regulate I sadly have little hope for major changes to the way gambling advertises. David Marshall from the Meaningful Chocolate Company, who make the Real Easter Egg, said: "Easter eggs don't have to cost the earth. We have replaced plastic bags, tamper-seals and Best Before stickers with paper versions. There is still the same amount of chocolate in the Real Easter Egg and the box sizes are the same, but the redesign means our Dark and Original Egg will save at least 5 tonnes of plastic and 175 tonnes of card in the next five years." The Archbishop of York, Dr John Sentamu, said; "I am delighted that an Easter Egg, which shares the Story of Easter, is leading the way by reducing packaging." The Bishop of Salisbury, The Rt Revd Nicholas Holtam, said; "As the lead bishop on the environment for the Church of England I am delighted that an Easter Egg, is taking seriously the care of our planet." Did you know that about one in eight British adults worry about not being able to afford enough food? Recent research carried out on behalf of the Church Urban Fund has found that food poverty is a growing issue, with more families using food banks and children going hungry during summer holidays without their free school meals. “Gather together some of your friends or family, eat pancakes, have a great time and raise funds for those in need. The BBC is going to ‘shine a light’ on faith and spiritual values in Britain today by running a year of programmes dedicated to religion and ethics. The move comes a year after the BBC promised to ‘raise our game’ in the way that it treated religion. That promise followed a year-long review of its religious and ethics output. On BBC 1, Earth’s Sacred Wonders will look at the rituals and monuments of faith around the world; Medical Ethics will be a documentary filmed at Great Ormond Street Hospital; and Pregnant and Platonic will be a documentary on people who have children without being in a romantic relationship. On BBC 2, Inside the Vatican will show a year in the life of the Vatican community, including Pope Francis; and the popular Pilgrimage series will return. The Bishop of Dudley, Graham Usher, has described a risk report, recently published by the World Economic Forum as ‘significant,’ warning that those in the world’s most deprived areas will be affected most severely by Climate Change. Bishop Graham said: “It is significant that the threats posed by climate change have been recognised by the world’s top economic experts. Bishop Graham Usher is a member of the Church of England’s Environmental Working Group. Christians have been in the Middle East for nearly 2000 years, but they now face the threat of ‘imminent extinction’, the Archbishop of Canterbury has warned. Yet, now Christians in the region are facing ‘the worst situation since the Mongol invasions of the 13th Century’, Archbishop Justin said. It is vital that these Christians in the Middle East know ‘they are not forgotten by the world, or treated as an irrelevant minority, a societal optional extra, or even a threat’. Archbishop Justin called on the Government to take in more refugees. According to the Barnabas Fund, following a freedom of information request, the Home Office has not admitted a single Christian among the 1,112 Syrian refugees resettled in the UK in the first three months of last year. The four Christians out of 1,358 Syrian refugees recommended by the UN High Commissioner for Refugees (UNHCR), for resettlement in the UK were rejected. Only Muslim refugees were granted permission to resettle. Prince Charles has praised the ‘extraordinary grace and capacity for forgiveness’ of the thousands of Middle Eastern Christians facing persecution. More than 2,300 Church of England congregations are running or supporting night shelters this winter as homelessness projects expand to cope with rising demand. Some of these ‘church’ night shelters are adding extra beds, and others are opening for longer during the week. The Rt Rev James Langstaff, Bishop of Rochester, and Chair of the Christian housing charity, Housing Justice, said: ‘The reasons why people end up on the streets are complex, with many facing mental ill-health, many having been in care as children, and a good number having been released from prison. If you want to enjoy art with your Bible reading, then visit the stunning new £2-million Bible-and-art website, ‘The Visual Commentary on the Bible’ (https://thevcs.org/) which was launched late last year. ‘The Visual Commentary on the Bible’ matches three works of art with passages of Scripture. Each triptych has been chosen by a theologian or an art historian (so far, there are 44 listed on the site), who also provides a short commentary on the picture, relating it to the Bible verses. The images on the site are high-resolution, and with the powerful zoom facility, users can enjoy the artworks in great detail. So far, there are 50 completed triptychs, or ‘exhibitions’, and another 50 await copyright permissions. In the next seven years, it is hoped that the number will grow to 1500. The site is free to use. It is funded by Roberta and Howard Ahmanson, the US billionaire philanthropists, and draws on the expertise of the Department of Theology and Religious Studies at King’s College, London. The Radio 4 programme Something Understood will not be made after April 2019, despite recent pledges from the BBC that it would protect its religious broadcasting. No new series will be commissioned, but instead the programme’s slot will be filled with repeats from the series. Something Understood explores spiritual and ethical topics through reflection, music and literature, and has been running since 1995. This year has also been designated by the BBC as the ‘Year of Beliefs’, in which specialist programming and documentaries about religion and faith were promised. There is a link between reading the Bible and wanting to relieve poverty. So found a recent poll by the research firm Barna Group, on behalf of Tearfund. In fact, 87% of Christians have taken action on poverty in this past year alone, and say they see it as a core part of their discipleship. Now a report on the poll, Christians Who Make a Difference, has been released. It considers the links between Christian belief and practice – and how it responds to poverty. The research found Christians more likely to donate to charity: 73% as opposed to 63% of all other UK adults. Furthermore, 49% of Christians has personally given food, clothing, furniture or other resources to someone in need. Christians were also slightly more likely to recycle, eat less meat, and use a green energy provider, (39% as opposed to 35% of all other UK adults). Among those Christians who go to church at least once a month, the percentages were even higher. The study also discovered that growing up in a Christian household is a significant predictor of later poverty activism. Six out of ten poverty activists grew up in a home where Christianity was practised regularly, even though they no longer attend church. This year marks the 50th anniversary of the Children’s Society bringing Christingle to this country with a service held in Lincoln Cathedral in 1968. To celebrate this landmark anniversary, the Children’s Society is running its #Christingle50 campaign, which aims to support vulnerable young people through raising funds at Christingle events and a collaboration with The Royal Academy of Music. 11% of 10 to 17-year-olds experiencing emotional neglect also do not have their own bed; 21% 10 to 17-year-olds experiencing emotional neglect had also been homeless in the last five years; and 20% of 10 to 17-year-olds experiencing emotional neglect also lived in a household that had used a food bank in the last five years. The Children’s Society has created an original song for schoolchildren, congregations or community choirs to include in their Christingle services. The song, ‘Light a Candle’, is available to download and listen to or learn for free from The Children’s Society website. You can support young people by donating to the #Christingle50 campaign, or by attending a local Christingle Service. For more information, visit www.christingle.org. Why do many Sunday schools and church groups for children falter, or even close down? Scripture Union thinks it knows the answer. After conducting a recent poll of more than 1,500 ministries, Scripture Union says that people would be "amazed" by how many leaders and volunteers set aside "no or minimal" time for prayer. Hence, their ministries simply do not survive. In a recent interview, SU's national director Tim Hastie-Smith told Premier Christian radio that prayer was "absolutely vital" and needed to be "at the centre" of church ministries in order for them to thrive. The organisation identified prayer and taking time to understand and respond to local needs as "two of the most important factors" in determining success. A major new nationwide evangelism initiative for 2020 was recently launched at Lambeth Palace. The campaign, Advance 2020, is a unique initiative on the part of more than 100 evangelists and ministry leaders. They have agreed to lead a major evangelistic thrust in 2020, and beforehand, to multiply the gift of younger evangelists, through mentoring and accountability groups. ‘Arise, shine, for your light has come…’ the words of Isaiah 60 had inspired evangelist Andy Hawthorne with the vision to start Advance 2020. He explained: ‘God was saying “step out in faith and do some big reaping events again”. But I also felt the Lord say: “And you aren’t going to be the main evangelist”. There are now 45 groups – men and women’s groups – with 300-400 evangelists. The Advance 2020 vision is to multiply the groups, mentoring younger evangelists, sharpening each other’s message, whether they preach from a stage or share Christ in one-to-one conversations. He invited the evangelists to work together, starting their own Advance groups and bringing them to the Advance 2020 Summit in October 2019, where 2,000 evangelists are to be recommissioned for a ‘reaping year’ in 2020. In the run-up to the event, 100 11-18 year olds will also be mentored, starting on The Youth Evangelism Weekender, 30 November to 2 December 2018. Andy Hawthorne was joined by Roy Crowne from HOPE, Gavin Calver from the Evangelical Alliance, Dr Rachel Jordan-Wolf from the Church of England; Rev Canon Yemi Adedeji, from HOPE and the One People Commission, plus Dave Plowman and Wendy Palau, from the Luis Palau Association, who each committed their ministries to the Advance 2020 vision, inviting the 100 in the room to do the same. Those involved in the project include Hope, the Evangelical Alliance (EA) and the Church of England. Traidcraft plc is in trouble. With very poor recent trading figures and despite enormous efforts by the staff and management and Fair Traders, it warns that the present model for the company may be no longer viable. Traidcraft’s charity branch, Traidcraft Exchange, will continue to support farmers and lobby government through its charitable arm, and the decision about closing the trading arm is still in a consultation period and not final. Traidcraft plc first started in 1979, selling fair-trade coffee, sugar and chocolate as well as rugs and handmade baskets from Bangladesh. They went on to sell fair-trade clothes and wine. Most of us remember them from church stalls and markets. Their aim was to keep a close link between producer and purchaser. A new vision for RE is ‘vital’ for properly equipping our children. So says the Church of England’s Chief Education Officer, Nigel Genders. The report stresses the need for RE teachers who are resourced and supported effectively. It also recommends structural change in how RE is determined. Nigel Genders said: ‘Today, most people’s experience of religion and belief is national and global, so we support the move away from a local determination of the subject. We believe this will help pupils make sense of religion and belief as it is lived today and this proposed change is educationally valid and would bring RE into line with all other curriculum subjects. ‘We fully support the policy of developing a Statement of Entitlement to RE and are pleased to see the Commission endorsing an approach which we already use in Church of England schools. ‘However, the Commission’s proposed Statement of Entitlement requires further work if it is to ensure that children and young people develop religious and theological literacy as part of their knowledge and understanding. Growing numbers of young people are seeking ordination to the priesthood, as the Church of England makes progress towards achieving a key target of recruiting more candidates for ordained ministry. The number of people aged under 32 years old recommended for training for ordination this year rose by nearly a third, or 32%, to 169, compared to 128 in 2016, a report on vocations from the Church of England shows. This means nearly one in three, or 29%, of those entering training for the priesthood this year are expected to be under 32 years old. The overall number of people recommended for ordination training is up 7% on last year, from 541 to 580. This follows a 14% increase the year before, putting the Church on course to achieving a key target of recruiting 50% more candidates for ordination by 2020. The figures have been published alongside Ministry Statistics for 2017 showing just over 20,000 active clergy in the Church of England, with women making up nearly a third, or 30% of the total. But the number of clergy in paid positions in 2017 fell by 50 from 7,790 to 7,740 compared to 2016. Nearly a quarter, or 23% of paid clergy in senior posts, such as Bishops, Cathedral Deans or Archdeacons were women in 2017, compared to 12% in 2012. Meanwhile, the vocations report shows that women are set to be the majority entering ordination training for the second year running, with 54% of this year’s recommended candidates being female. Director of the Church of England’s Ministry Division, Julian Hubbard, said: “I am delighted that the Church of England has seen a rise in the number of vocations to the priesthood for the second year running. We are particularly pleased to see the increase in the number of young women and men entering training. The Church of England is aiming to achieve an increase in the diversity of those entering ministry and a 50% increase in the total number of candidates for ordained ministry by 2020. This is part of its Renewal and Reform programme . The Methodist Church in Great Britain and The United Methodist Church (UMC) have been celebrating the 50th anniversary of their partnership with a series of services, workshops and discussions. The formal link between these two Churches is known as the Concordat. The free down-loadable Scripture Union app game Guardians of Ancora is being played in 180 countries around the world in four languages, up to 1,000 children a week inviting a friend to play it also. To find out more about the game, click here for the Scripture Union website. A commemorative booklet called Silence has been produced for churches to give away at Remembrance events this November. Silence includes many of the familiar Remembrance epitaphs, poems and exhortations and aims to help all those attending Remembrance services to engage with God in the two minutes silence. On Sunday, 11 November 2018, people around the Commonwealth will observe Remembrance Sunday and Armistice Day to mark the centenary of the end of World War 1. More than a hundred new churches are to be created in a £27 million drive by the Church of England to revive the Christian faith in coastal areas, market towns and outer urban housing estates. The plans have been backed by the Archbishop of Canterbury Justin Welby as a ‘wonderful example’ of how churches are seeking to be faithful to God and to serve their communities. He said: “The Church of England exists to share the good news of Jesus through our words and our actions. Across the country, churches are bursting with life – which in part is shown through how they love and serve their communities. I’m especially pleased about these grants because they demonstrate our commitment to following Jesus to the places of greatest need in our society. The House of Lords has passed a bill from the Bishop of St Albans to end the historic inequality of excluding mothers’ names from marriage certificates. The Registration of Marriage Bill, which would also introduce electronic marriage registers, now moves to the House of Commons to be considered by MPs. It is the first time a Bishop’s Private Member’s Bill has proceeded to the House of Commons in more than 20 years. Speaking after the Lords passed the Bill, the Bishop of St Albans, Dr Alan Smith, said: ‘As someone who has performed hundreds of marriages, it has always seemed shocking to me that mothers are systematically overlooked. ‘This injustice dates to 1837 when children were viewed as a father’s property and little consideration was given to women. In this centenary year of women’s suffrage it is time to make this long overdue change. ‘I am pleased to have had the backing not only of Peers and many in the Church, but a huge number of others, including tens of thousands who have signed public petitions, campaigners for women’s equality, and even genealogists. The Church of England is launching an Alexa skill, enabling users to ask the Church of England for prayers, explanations of the Christian faith and where to find their nearest church for local events and services based on their location. Daily prayer resources are central to the skill, offering a prayer for the day, as well as morning, evening and night-time prayers and a grace before meals all recorded for Alexa devices. The skill is also integrated with A Church Near You, our national church finder that gets 13 million page views a year, to find the nearest services and events, and seeks to increase users' knowledge of the Christian faith by answering questions such as: what is the Bible? Who is God? What is a Christian? The Archbishop of York, Dr John Sentamu, who is featured in a video to promote the Alexa skill, said: “We’re thrilled to be launching the Alexa skill today, to enable regular churchgoers and those exploring faith to connect with God in another way at a time that’s right for them. A quarter of UK households now own a smart device and, after transforming the Church of England’s and Archbishops’ national websites last year, this fast-growing area was identified as a priority for development. Adrian Harris, Head of Digital at the Church of England, said: “Platforms such as Alexa give the Church the ability to connect people with God and to weave faith into daily lives, whether for daily prayers or exploring Christianity. We also see this as a fantastic opportunity to encourage people into their local church, which is why the link to A Church Near You is so important, particularly at key moments in the Christian year such as Easter and Christmas. This is phase one of the AI project, built jointly by the Church’s Digital and Church House Publishing teams, with future development planned to ensure users can find more answers to faith questions. Users must activate the Church of England skill by saying “Alexa, open the Church of England”. A full list of commands is available on our dedicated Alexa page. One million people go to a Church of England church and more than four million attend at Christmas. The integration with A Church Near You will mean even more users are able to find a local place to worship at key events. This skill is one of the first significant faith-based skills available for smart speaker users in the UK. The Church of England has recently made contactless, virtual terminal, and SMS mobile payments available throughout England, in a bid to make transactions faster and easier for the Church’s congregations. In an increasingly cashless era, churches will now be able to offer cashless payment options for events including weddings, christenings, church fetes and concerts, as well as for making one-off donations and the booking of churches and halls. Over 16,000 churches, cathedrals, and religious sites will now have access to portable card readers through the Church of England’s Parish Buying portal through a partnership with SumUp and iZettle. The readers will be used to take contactless payments, Apple Pay and Google Pay, as well as chip & PIN capable. The pay-as-you-go pricing is well suited to the needs of religious institutions, charging only a small transaction fee when the reader is used. The decision follows a trial which began in summer 2017 in cathedrals and parish churches. 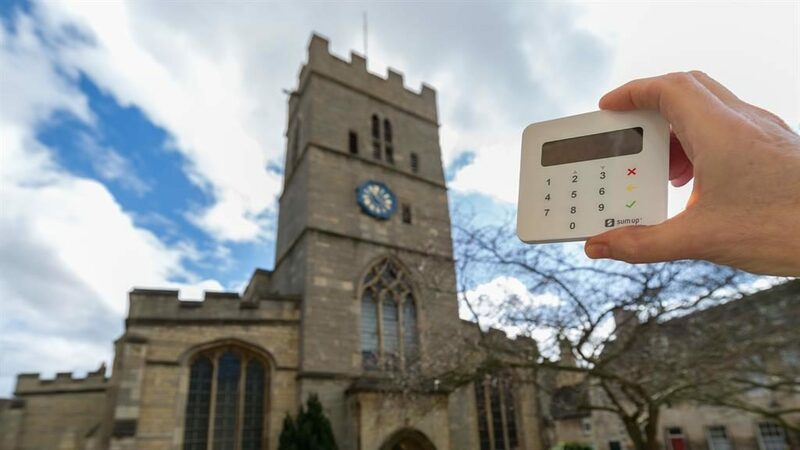 Using iZettle, church-goers now have the choice to pay and make contributions in whatever way suits them best - whether it is by cash, card, mobile or wearable technology - which will benefit both the church and its visitors. Millennials still value marriage with almost three quarters of those who are unmarried (72%) intending to tie the knot, according to new research by the Church of England. While official figures recently showed a decline in the marriage rate, a study commissioned by the Church of England’s Life Events team suggests that 18-to-35-year-olds still dream of having their big day. Among those who were single, almost six in 10 (59%) said that they would like to marry at some point. Just over one in 10 (12%) of respondents said they were engaged and planning their upcoming nuptials. Significantly, the survey also suggests that millennials attach a special importance to church weddings, with more young people preferring to marry in a church or chapel (47%) than a register office/town hall (34%). Those who would consider a church wedding were asked why it appealed to them from a list of options. Almost a third said that it felt like a ‘proper’ wedding (31%). Marrying before God or receiving a blessing, was also in the top 10 (the seventh most chosen option). Millennials were also strongly drawn to ‘traditional/conventional’ wedding venues (72%). The research shows that for those considering marriage, almost one in six (17%) said that faith or religion had influenced their wedding ideas.